It seems a possible David Haye vs Vitali Klitschko fight has been talked about for months now, stretching way back to last year when Haye lost to Vitali's brother, Wladimir. At some points it looked like a done deal, but now it looks further away than ever. 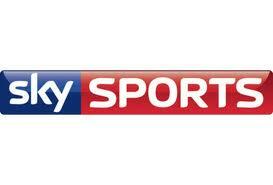 Sky Sports have turned their nose up at showing the fight on PPV, a decision that damages the fights profitability. Sky have always loved to put fights on PPV and no doubt they made a lot of cash from some of them, Hatton vs Mayweather/Pacquiao being notable examples. Then the PPV numbers dropped for the sports channel, and they made the decision to distance themselves from PPV. Things are changing. Here, you have a major sports channel saying they won't charge fans extra to watch boxing matches. Over at channel 5, a deal was signed with Tyson Fury to air the heavyweight's fights at no extra cost to the viewer. There is a growing demand for sports on freeview channels, and this could bode well for boxing. Maybe even the BBC will get a taste for it again, with it being sixteen months since their bitter Haye vs Harrison experience. For now, David Haye vs Vitali Klitschko looks dead.